This past weekend, LA Weekly produced a stellar event! Patrons had the opportunity to taste all types of burgers and beers. My favorite vendor was Hawkins Burgers-as their burger was “top notch”. I admit I have had these juicy burgers in my high school days and occasionally sneak back to South Los Angeles to eat them. The bacon burger was delicious; it had bacon, cheese, ground beef patty, lettuce, tomato, onions, mustard and mayonnaise on a bun. The burger they provided was bigger than a slider and was really good. Another favorite was Pink’s. Now, I’ll admit I only go to Pinks’ for the hot dogs. Never again-it’s all about the burger. 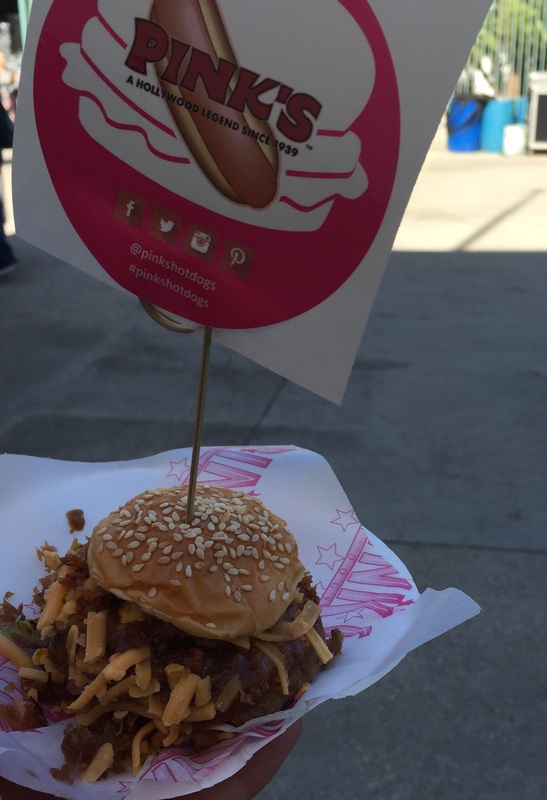 Pinks provided a chili cheese burger with onions and sausage on a slider. Yummy! Pinks is famous for their hot dogs-but from now on, I may just be ordering the burgers! 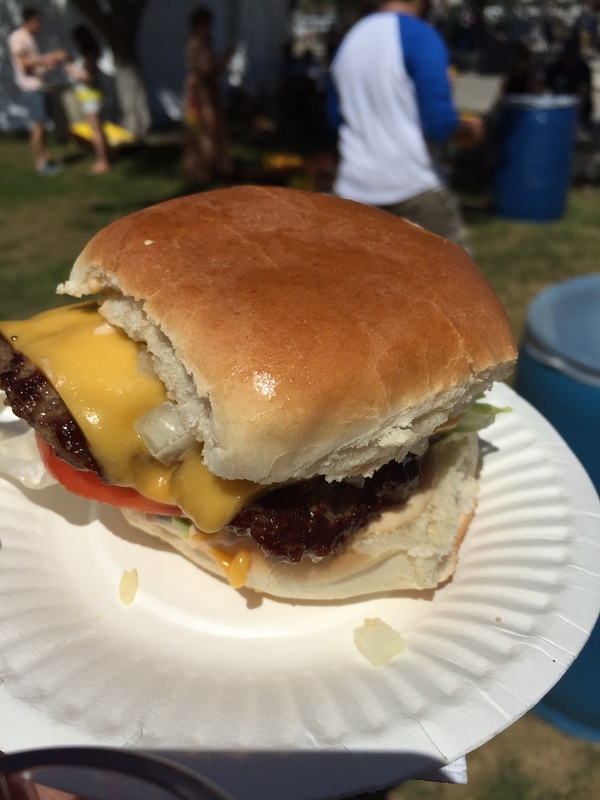 Other vendors that provided yummy burgers were Slaters 50/50, Vaka Burgers, Barrel and Ashes just to name a few. I had so many burgers; I need to go on a diet. The restaurant: Animal line was too long, so I didn’t get to taste their burger, but it must have been amazing because there were so many people waiting for that slider. Although I didn’t drink the beer, there were several companies that offered tasting such as Budweiser, El Segundo Brewing Company and Ladyface Ale Companie just to name a few. Barefoot Wines was also present and I had the opportunity to taste their Rose which was sweet and tasty. Although Burgers and Beers was a success, there was one con- no chairs or bar tables to enjoy the burger. It’s hard to walk and eat-but as in Rome- do what you have to do! Let’s get moving and support these small businesses as their food is delicious. Until next time loves… Live, Love and Enjoy!